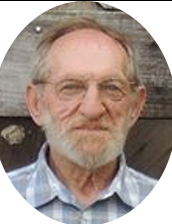 Ray Gabbard, age 75, husband of Jean Lunsford Gabbard, of Brodhead, KY, passed away on April 10th, 2019 at his home in Brodhead, KY.
Ray was born in Berea, KY; Mar. 17th, 1944 a son of the late Harry Raymond Gabbard, and the late Ruth Pigg Gabbard. Ray was a carpenter by trade. He was a member of Skaggs Creek Baptist Church, and he found great joy in his family, fishing and gardening. Those left to celebrate his life are: his wife: Jean Lunsford Gabbard; his children: Jeff Gabbard (Tena) of Berea, KY; Bryan Gabbard (Malinda) of Berea, KY; Ben Gabbard (Lisa) of Berea, KY; Adrienne Moberly (Steve) of Richmond, KY; and Brienne Anzures (Nathan) of Brodhead, KY; his grandchildren: Shelby Brooks (Mark), Sydni Childres (Rick), Bethany Rae Gabbard-Mills (Tyler), Savannah H. Gabbard, Kelsey Gabbard, Chelsea Duff (Brent), Connor VanWinkle and Keely VanWinkle; great-grandchildren: Griffin, Lilly and Wyatt; a sisters: Margaret (A.D.) Rose and Joyce (Dean) Sowder; as well as a host of many friends and neighbors. His special fur-babies; Taz, Radar. Besides his parents, Ray was preceded in death by Jesse Gabbard, Amy Hart, Betty Lamb, Dorothy Gabbard and Thelma Cope. There will be private Family services, per his request.